Oh Yeah, You Got It! Kung Fu Panda, although a cartoon, has some interesting ideas that should be included in training: There’s no secret sauce and you had it within you the entire time. Two quotes today, share some of the things that we should all realize that we need to start paving the way for our success and realize the obstacles that might stop us along the way. Of course, we’ll shed more light onto how those quotes apply and don’t apply to your training and how we can tweak them a bit, to really amp up your next goal: whatever that may be. Although I agree with Marcy that willing to work, makes a big difference than finding the secret to success, I wouldn’t want to reference it as willingness to work, but just the act of working that makes the difference. Sure the intent of what you’re doing matters, but if there’s no actual work being done, the intent does not matter nor does the willingness. Looking at the stages of change, there are many times when we are willing to work on something, anything, but don’t get to it at all or aren’t READY to change – changing a diet, taking a new way to work, waking up 5 minutes earlier than normal. It seems as if sometimes we fall into these traps that keep us from doing what we want because of what we’re currently good at – eating junk food, taking the same route to work, or hitting the snooze button when the alarm gets off (I’m good at that one). Sure, it’s not good for you sometimes, but because you’ve done it soooooo long, you’ve developed it really well, just like learning how to do Kettlebell swings or just squats. You sucked, you got better, and some of you are personal trainers because you are THAT “good”, heck some of you are RKCs, even better. *Read mc’s blog here, It goes more in depth of another way at looking at motivation – something you do and practice, not a desire. What’s interesting is that writing it down, is like always still part of the willingness to work. Sure willingness and a commitment to something or someone will give you more incentives or rewards to do what you need to do to change. The act of doing is more important and gives you the experience you need to do, not plan to do. 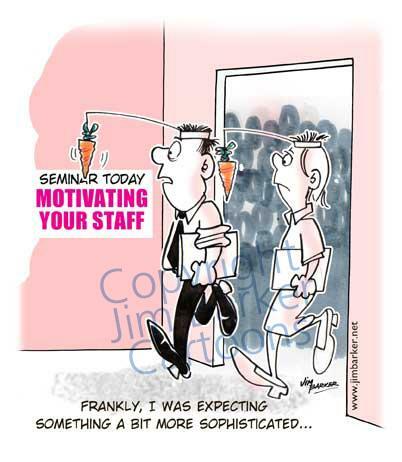 Carrots are like Writing it Down, Chasing The Goal, Not Leading It. When you think you need to work out, use it as a cue to start working out. You don’t need weight – do one squat, do one pushup, do something that gets you in the routine of wanting to work out right when you think about it. If your goal is 200 reps of squats, right when you think it, do it. Just like the Panda, when he saw cookies, he did whatever he could to get to the cookies – he acted, he didn’t think. That action is what makes the difference. When you think you need to write something down to commit to a goal, DO SOMETHING first that is part of your goal, then write it down. For example: Instead of writing I need to stop going to McDonalds, go eat a Salad and some fruit FIRST. Instead of writing down I need to do more presses, pullups, pistols, do it first, write second. The action should go before the writing and this will help pave way to one up yourself every single time. For all those that might be thinking – “Did Darryl do his share of action”: Yes, I did some of my training before starting this post, Thank You :-). *Side note: I have to give credit to Frankie Faires on this idea based on one of his posts a very long time ago – Thank You. Hopefully you understand that Kung Fu Panda is a metaphor for how we choose to live our lives. Do we really understand that there is no secret sauce to training or life otherwise? Do we really understand that we don’t gain our strength, we already have it within us? Kung Fu Panda has shown us the way! Remember it’s who we are and what we do that matters. See he acted, Now Will You? The Training: Two Wrong’s Make a Right Day! Variations of Presses, Pullups, Pistols, Planches, and Front Levers will be used with a total of 20 reps for each. Goal of for today is a bit different than normal and figuring out how each repetition can go WRONG. I will be intentionally working the “Wrong” stuff today. Basically in how many ways can the Kettlebell Fall during a Press, In what way would my elbow go during a pullup when I’m TIRED, which way would I fall during a Pistol, where does my balance normally go towards during a planche and front lever, what muscles don’t seem to be working as good, and what don’t I have awareness of. Conditioning will also be KB Swings and it’s variations w/ the 16kg aiming for 250 reps + a few sprints after the Boot Camp Class I train in. Z-Health R,I,S Eye Tracking, Near and Far Eye Drills, Saccades done lying face up. R-Phase as much as possible Lying face down. I-Phase as much as possible Lying face up. S-Phase Upper Body/Lower Body differentiation, Crossover Step, Rotational Step, Plyo Step and T-Step. T-Phase Cranial Drills and Upper Body Nerve Glide Experimentation.